Last week I hit the jackpot, my good friend Geroge from work brought me a load of wood for our Friday night campfires along with a bag of fresh Walleye Fillets. As you probably know it really doesn't take much to get me excited. George lives out in the country in a wooded area and was kind enough to share some of his wood, he really saved me some money this year. All year long George and his son fish the Allegheny River and Chautauqua Lake for walleye and crappie. And, every year he shares their fresh catch with us. This year I decided to make my own beer batter battered walleye recipe. You'll find the recipe for the beer batter below. But first, let me explain how I made these. 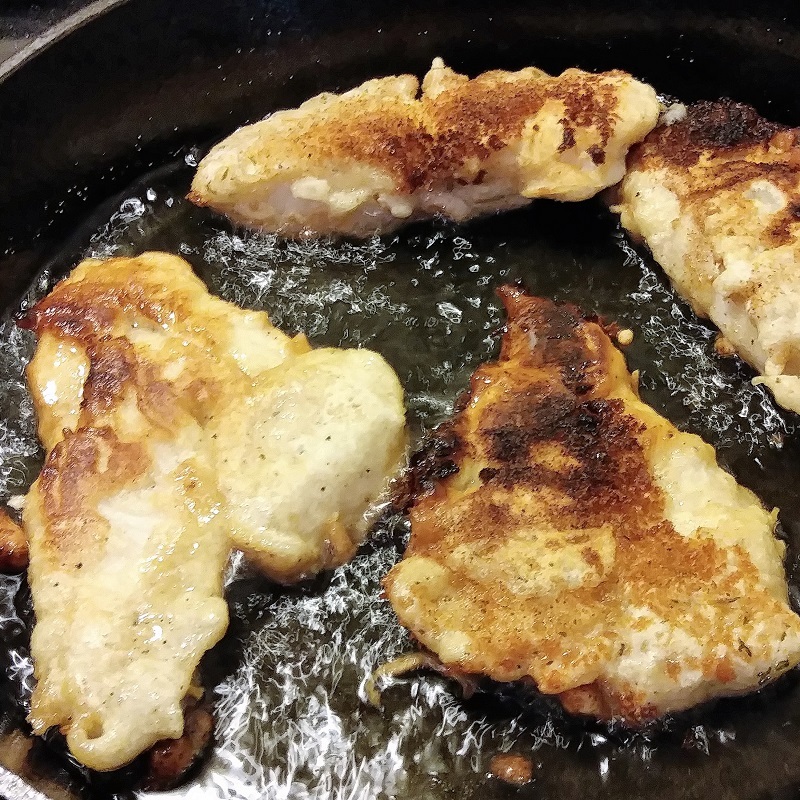 I first cut the fillets into smaller pieces so they would be easy to handle and flip in my skillet. After the batter was ready and with the help of my grandson Bobby we pan fried these fillets in my 10-inch cast iron skillet. I poured about 1/4-inch of vegetable oil into the skillet and set it to medium heat to get the oil to about 375 degrees. We set up a station of first, a plate of flour, then the beer batter, and last a plate of Panko Seasoned Bread Crumbs. Bobby coated the fillets with flour and put them into the batter. I took them from the batter and coated them with the bread crumbs and then into the hot oil. I cooked the fillets for 2 to 3 minutes per side. Then placed the them on paper towels to drain. I added all of the dry ingredients into my KitchenAid Stand Mixer bowl and turned it over a few times with a spatula. Then I added the beaten egg and turned on the mixer using the whisk attachment on medium speed. I added the beer a little bit at a time until I had a nice consistent batter. 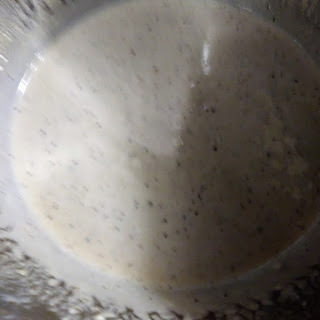 I think this batter would be perfect to make beer batter shrimp, chicken strips, onion rings, and why not beer battered mushrooms. My daughter Jamie brought over the two chicken and fish seasonings that she wanted to try out from Penzeys. I have to tell you what a great add they were to this batter. And, since Fran is eating much healthier than I am we cooked two of the fillets on the grill for her. I sprayed a piece of tin foil with non-stick spray, added a tablespoon of butter on top of each fillet. Then I sprinkled the two Penzys seasonings over the top. I wrapped them and cooked the two fillets on the grill over medium heat for about 10 minutes. These Penzeys seasonings were new to me and I will certainly use them again. Fran thought that the flavor was amazing. That looks delicious! I love a good fish fry but never think to fry it myself. I should change that! But why aren't you using a good tool for generating recipe cards for your recipes? Aw man, i love fish. This sounds great, I am ggoing to have to try this one. Thanks so much, Brenda, I do hope you like it!! Sam - you have a special friend who supplies both firewood and fresh-caught fish. 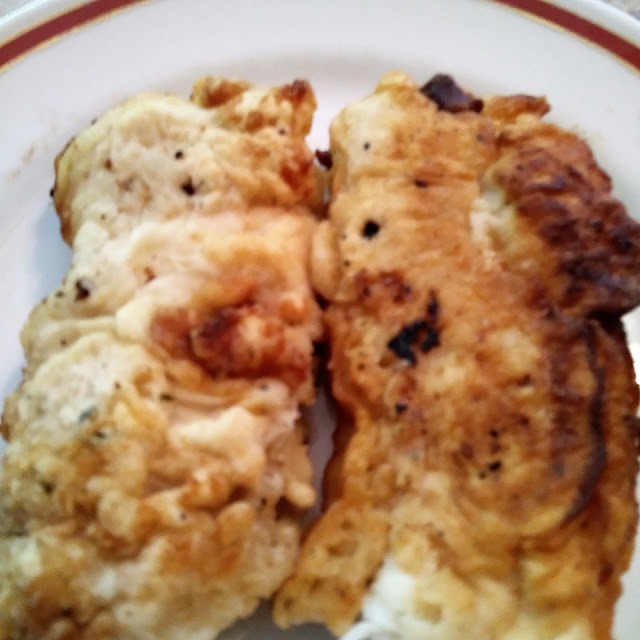 I had such a friend years ago in California -- a commercial fisherman neighbor who used to bring home his catch and after cleaning and packaging it for customers he & his family would have a 'fish fry' to which we were invited. Batter fried fish (Ocean Cod, in our case)and batter fried onion rings with home fries, cole slaw and garlic bread. Yum. So your beer battered walleye sounds delicious to me. BTW, I only discovered Panko Flakes a year ago while visiting my son. His darling wife (originally from Korea) taught me how to fix Panko shrimp -- rolled in flour, dipped in beaten egg, and then Panko Flakes, and quickly fried in a Wok. SO good. This looks soooo good!! I'll have to check out those seasonings you've used.